Intelligent Data Analysis provides a forum for the examination of issues related to the research and applications of Artificial Intelligence techniques in data analysis across a variety of disciplines. These techniques include (but are not limited to): all areas of data visualization, data pre-processing (fusion, editing, transformation, filtering, sampling), data engineering, database mining techniques, tools and applications, use of domain knowledge in data analysis, big data applications, evolutionary algorithms, machine learning, neural nets, fuzzy logic, statistical pattern recognition, knowledge filtering, and post-processing. In particular, papers are preferred that discuss development of new AI related data analysis architectures, methodologies, and techniques and their applications to various domains. Download the journal's flyer here. 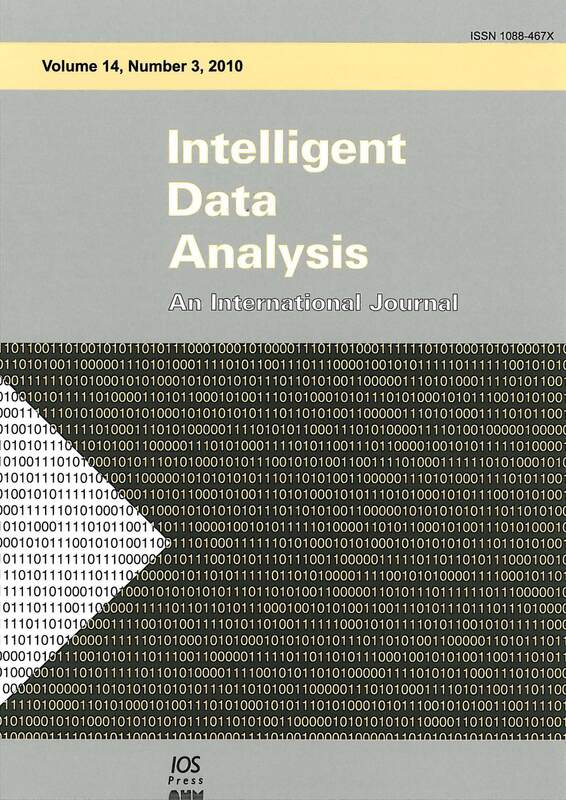 Intelligent Data Analysis invites the submission of research and application articles that comply with the aims and scope of the journal. In particular, articles that discuss development of new AI architectures, methodologies, and techniques and their applications to the field of data analysis are preferred. Manuscripts should be submitted in *.pdf format only. Please prepare your manuscripts in single space, and include figures and tables in the body of the text where they are referred to. Manuscripts are received with the understanding that their content is unpublished material and is not being submitted for publication elsewhere. Further, it is understood that each co-author has made substantial contributions to the work described and that each accepts joint responsibility for publication. When an article is accepted for publication, authors are required to pay US$350/€300. Page charges do not apply to feature articles. The fee is applicable to papers submitted and accepted after July 1, 2016. The IOS Press Open Library® offers authors an Open Access (OA) option. By selecting the OA option, the article will be freely available from the moment it is published; also in the pre-press module. In the Open Library® the article processing charges are paid in the form of an Open Access Fee. Open Access is entirely optional. See our IOS Press Open Library® section for more information about this option. Peerwith offer a language and copyediting service to all scientists who want to publish their manuscript in scientific peer-reviewed periodicals and books. Manuscripts should be prepared with wide margins and double (single) spacing throughout, including the abstract, footnotes and references. Manuscripts should be submitted in *.pdf format only. Every page of the manuscript, including the title page, references, tables, etc., should be numbered. However, in the text no reference should be made to page numbers; if necessary, one may refer to sections. Try to avoid the excessive use of italics and bold face. Figures and Tables should be included in the text in the exact location where they are referred to.